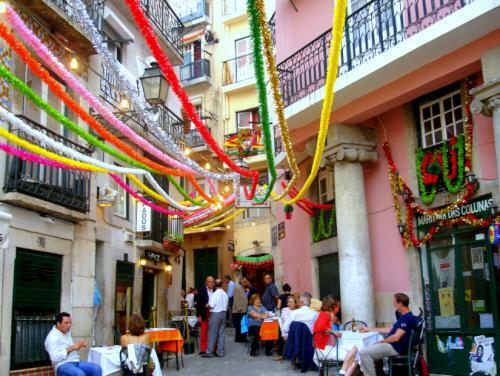 ities and urban areas all over Portugal are known for their love of celebrations. Festivals and events are the signposts by which the Portuguese navigate their way through the year and Lisbon is home to one of the biggest of them all.The Santo Antonio Festival takes place in Lisbon every year in June, usually 12th and 13th of the month. 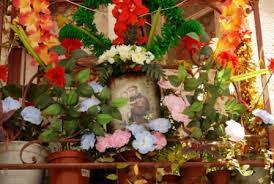 It is a celebration of Portugal’s patron saint, Santo Antonio, to whom many miracles have been attributed.He is considered to be many extraordinary things, most commonly the keeper of lost things. However in Portugal he has a specific yet vast role, including that of a defender of animals, a healer, the guardian of good marriages and the protector of the souls of purgatory.Santo Antonio was born in Lisbon in 1195, named Fernando Martins de Bulhoes. He was born into a family of nobility and against his parents’ wishes decided to enter the Augustinian Abbey of St Vincent to study scripture and Latin classics.After becoming a priest he went on to preach the gospel with a group of Franciscan monks and toured Italy to huge acclaim for his sermons and teaching of the gospel.Santo Antonio was canonised by the Catholic Church on June 13 1232, just one year after his death, making it the second-fastest canonisation in history. It is not clear how the celebration of Santo Antonio converted itself into such a large-scale event, although he was of course a favoured son of the city of Lisbon.But what we do know is that these days Lisbon comes alive for several days around the 13th of June in a party that is almost unmatched by another in Portugal’s festival-filled calendar.So if you are thinking of timing your visit to Lisbon to coincide with the Santo Antonio Festival, what exactly can you expect? http://www.ezportugal.com/lisbon-portugal/things-to-do-lisbon/santo-anto...Preparations begin several days before the party proper takes place. The entire city becomes awash with colourful decorations, twinkling lights and food and drink stalls that will soon be working overtime to feed the thousands who will flock to enjoy the street-side festivities.